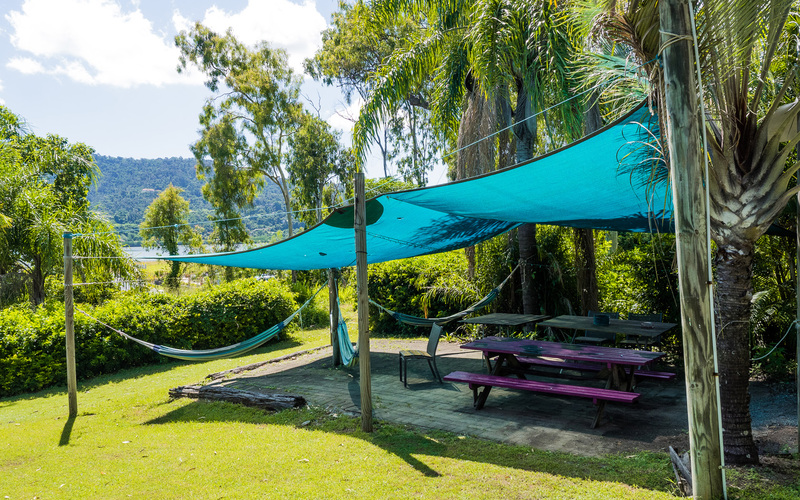 Backpackers By The Bay is a small, clean and friendly, purpose-built backpackers hostel. 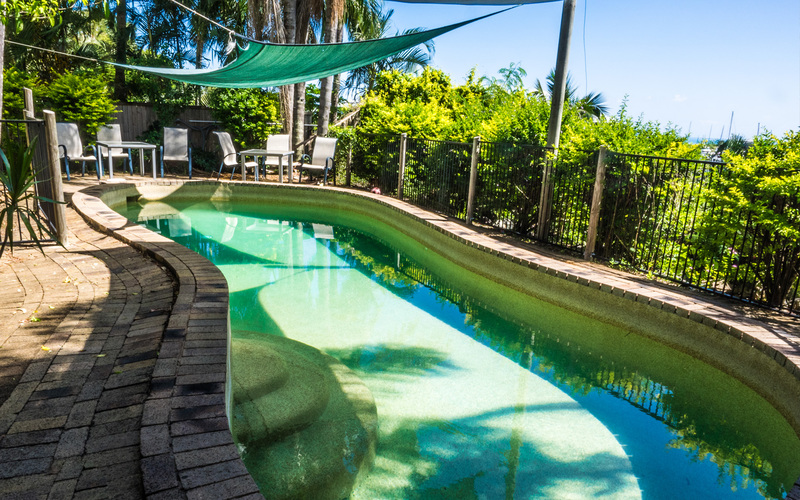 Located overlooking the Coral Sea and Port of Airlie Marina, the hostel is 400m from the main street. 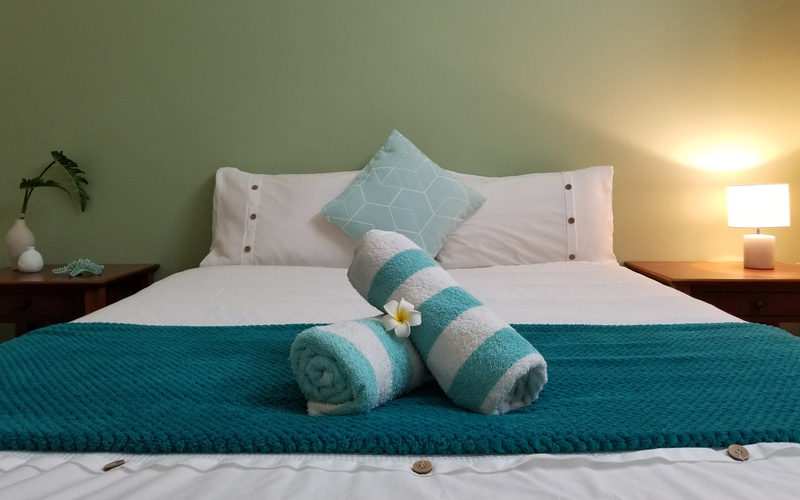 While only than a 5 minute walk to the cafes, restaurants, shops and famous nightlife of Airlie Beach, the hostel provides a quiet and peaceful place to get uninterrupted sleep at night. BBB is a multi-award winning hostel, sleeping up to 70 guests in four-share, eight-share, double or twin rooms. 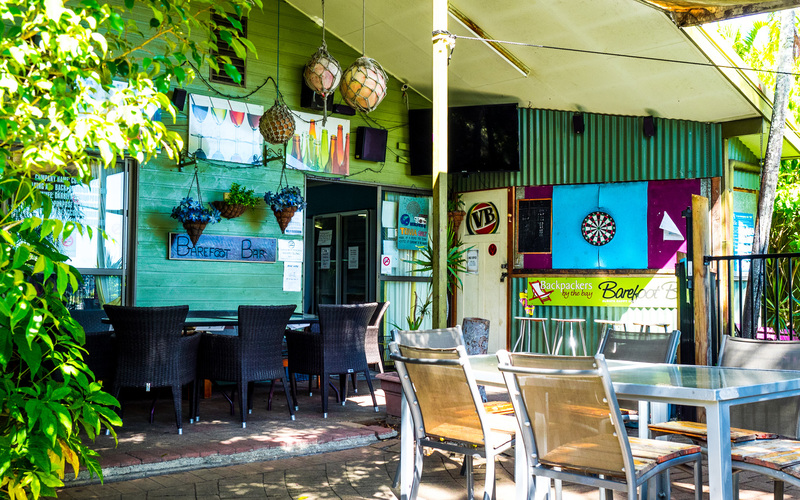 Backpackers By The Bay was the first backpackers hostel built in Airlie Beach, back in 1986. 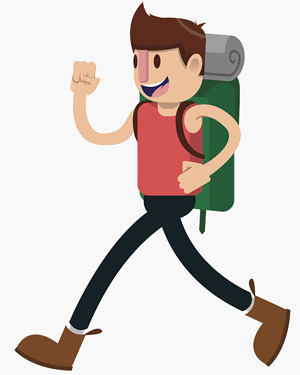 It is still the only purpose-built backpackers in the area. The owners, Peter and Carolyn Upton, are avid travelers and believe the best experiences when travelling involve the people you meet along the way. To that end, the main focus of the hostel is on guest-interaction. To facilitate this, activities are held each night in one of the many communal areas. These include group trivia quizzes, pool competitions, outdoor movies etc. In addition, most of the hostel's facilities are communal, including the kitchen and laundry. We've been offering quality hostel accommodation for over 30 years. We've got all you need in a friendly, safe and clean environment. We're on the doorstep to the 74 islands that make up the Whitsundays. 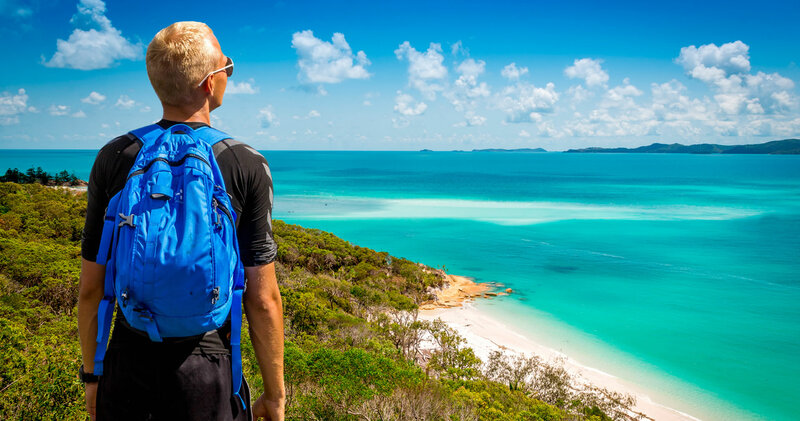 Modern luxury, action packed adventure or diving expeditions, the Whitsundays has it all.